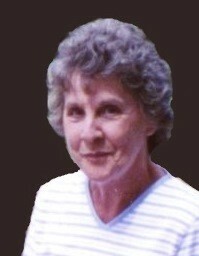 Brenda M. Johns Cruey, 78, of Erlanger passed away Sunday, June 24, 2018 at her home. Brenda was a retired secretary for Michel Tire Co and following retirement, a salesclerk for Dillard’s. A longtime member of Dry Ridge Baptist Church, she enjoyed bowling, traveling and being with her family, especially her grandchildren. She was preceded in death by her parents, Chester “Tim” and Edna McCoy Johns; and a sister, Mary Ann Webster. Survivors include her husband, Russell Lee Cruey; sons, Jeff Cruey of Hebron and Mark (Terri Cox-Cruey) Cruey of Florence; three grandchildren, Lance (Megan) Cruey, Paige Cruey and Katie (Matt) Ellison and four great grandchildren, Logan, Liana, Gracyn and Griffin. Visitation is Thursday, June 28, 2018 from 10:30 a.m. to 12:00 Noon at Middendorf-Bullock Funeral Home, Erlanger. Funeral services to immediately follow at 12:00 Noon. Entombment will be in Forest Lawn Memorial Park Mausoleum, Erlanger. Memorial contributions are suggested to: Alzheimer’s Association, 644 Linn Street, Suite 1026, Cincinnati, OH 45203.